After what one source describes as “several years of frustration,” Marvel Studios president Kevin Feige has pulled off a reorganization of the vaunted film company that has him reporting to Disney studio chief Alan Horn as opposed to the infamously micromanaging Marvel Entertainment CEO Isaac “Ike” Perlmutter. Feige, the architect of Marvel’s transition from a flailing comic book company into a film powerhouse that was sold to Disney for $4 billion in 2009, is said to have vented his unhappiness to Horn and Disney CEO Bob Iger earlier this summer. The reorganization was put into effect last week, according to sources. The revamp is a blow to New York-based Perlmutter, a low-profile billionaire who has contributed to Marvel’s reputation in Hollywood for frugality and secrecy (as THR reported in a 2014 feature, he attended the premiere of Iron Man in a disguise to go undetected and once complained that journalists at a press junket were allowed two sodas instead of one). Jeph Loeb, head of Marvel Television, continues to report to Perlmutter, who will maintain oversight of Marvel’s TV group, publishing, animation and other New York-based operations. Perlmutter, 72, is said to have accepted Feige’s insistence on the film group breaking free. But the move illustrates the power that Feige has amassed within the Disney empire, having overseen a slate of films since 2009 that has grossed more than $7 billion while rival Warner Bros. has struggled to turn its DC superheroes into a comparable cinematic universe. 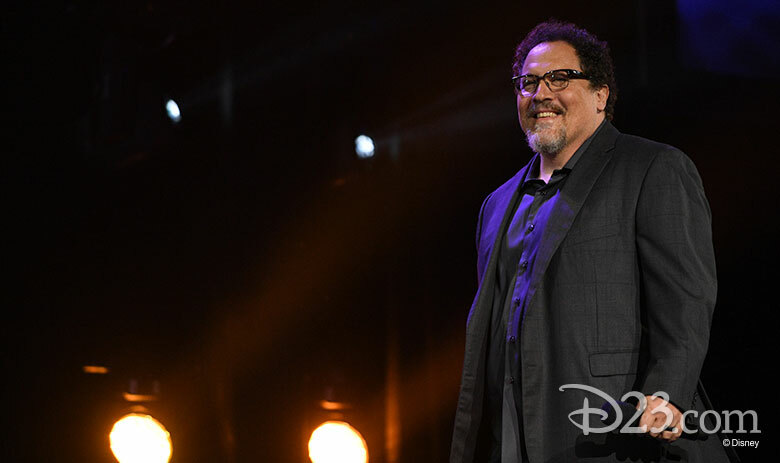 Disney has plotted out Marvel films until at least 2019. The shift also evidences the tricky executive politics that Iger must manage as a result of assembling several freestanding feifdoms under the Disney banner over the past decade. Pixar Animation Studios, Lucasfilm and Marvel have been key acquisitions that brought with them valuable intellectual property assets and creative expertise. But each silo is overseen by powerful executives such as animation gurus John Lasseter and Ed Catmull, producer Kathleen Kennedy and Perlmutter and Feige, respectively, all of whom have tremendous influence within their corner of the Disney empire. 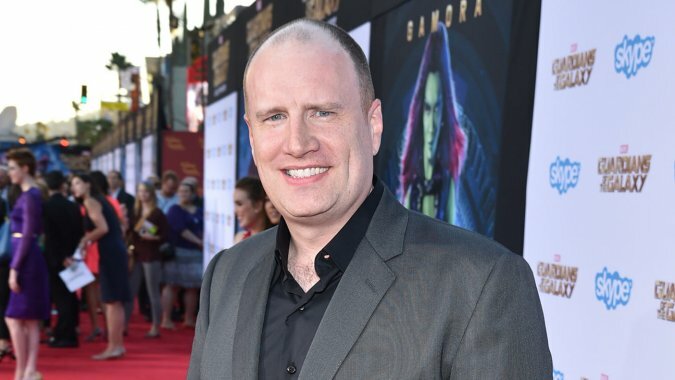 Feige, 42, has been considered the key man at Marvel, producing everything from the original Iron Man through this summer’s Avengers: Age of Ultron and Ant-Man. One insider says Feige has earned the opportunity to break free from Perlmutter, who is not only controlling, but also obsessed with thrift. 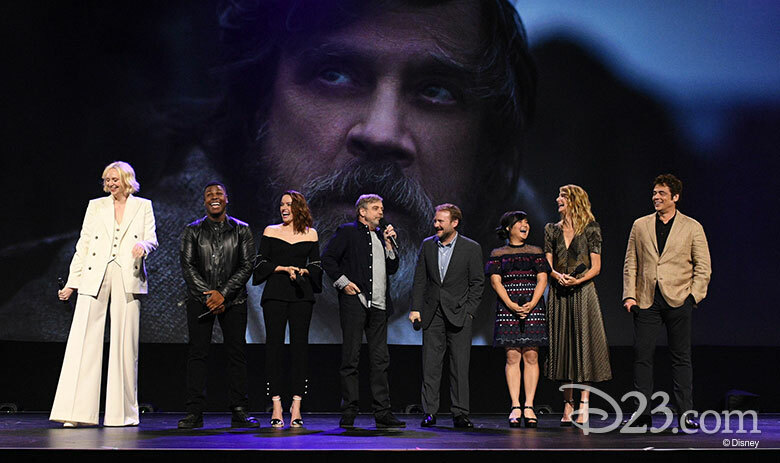 Disney, Marvel Studios and Lucasfilm presented their live action film slates this morning at the D23 EXPO 2015 at the Anaheim Convention Center in Anaheim, Calif. 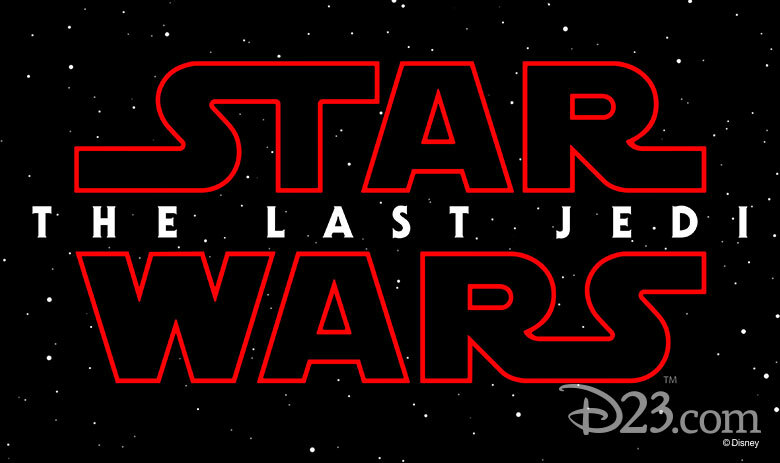 The presentations, which revealed exclusive news and details about the upcoming live action films, were aided by live and video appearances from talent and filmmakers. 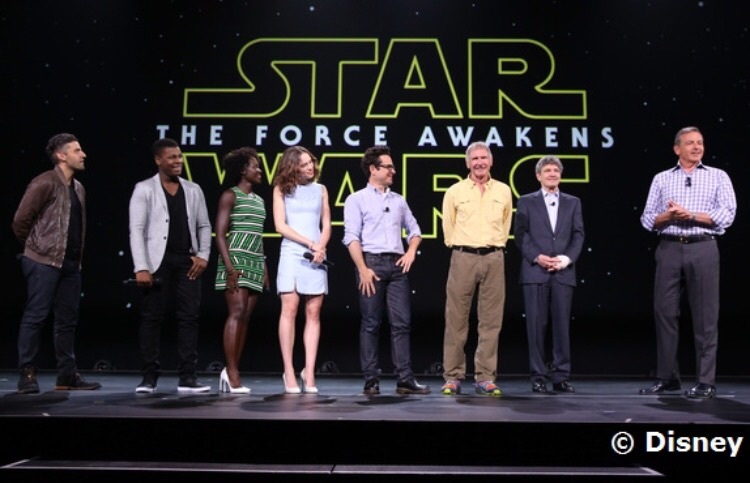 Walt Disney Studios Chairman Alan Horn hosted the highly anticipated biennial event. · Kevin Feige led off with a glimpse into the world of Marvel’s “Doctor Strange,” featuring a video greeting by Benedict Cumberbatch, who stars as the title character, followed by a pre-production piece that offered fans a taste of the look and feel of the upcoming film, opening in U.S. theaters on October 26, 2016. · Bailey welcomed Mia Wasikowska to the stage, where she thrilled fans with a preview of the all-new spectacular adventure, “Alice Through the Looking Glass,” featuring the unforgettable characters from Lewis Carroll’s beloved stories. 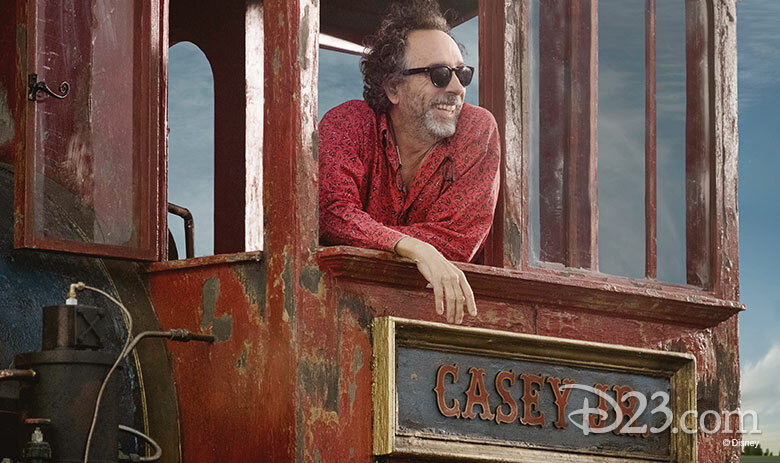 Director James Bobin brings his own unique vision to the spectacular world Tim Burton created on screen in 2010 with “Alice in Wonderland,” in which Alice (Wasikowska) returns to the whimsical world of Underland and travels back in time to save the Mad Hatter. The film, which once again features Johnny Depp, Anne Hathaway, Helena Bonham Carter and the voices of Alan Rickman, Stephen Fry, Michael Sheen and Timothy Spall, introduces several new characters as well: Zanik Hightopp (Rhys Ifans), the Mad Hatter’s father, and Time himself (Sacha Baron Cohen), a peculiar creature who is part human, part clock. 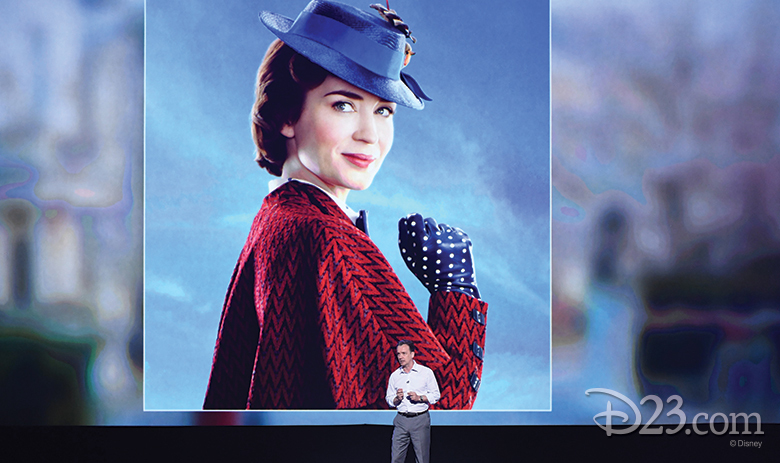 In addition to attending the film’s presentation in Hall D23 at the Convention Center, fans had the opportunity to transform themselves into their favorite characters from Underland with an interactive experience, Travel Through the Looking Glass. By means of a first-to-market face-tracking application, D23 EXPO participants entering one of four photo booths located on the show floor were able to become the Mad Hatter, the Red Queen, the White Rabbit or the Cheshire Cat with full digital-makeup and cinematic 3D objects seamlessly—and instantly—applied to their reflections, and in real time. They were then emailed a 10-second video and still image, which they could share on their favorite social media platforms. 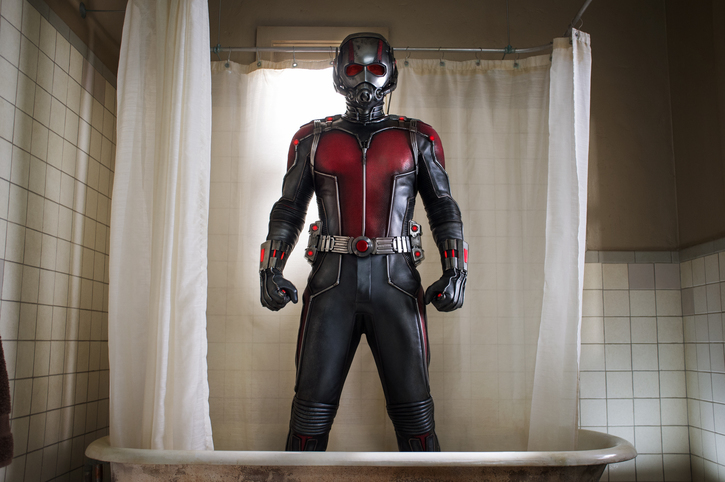 Walt Disney and Marvel’s Ant-Man got off to a solid start with a $58 million debut weekend. It is not a little amusing that the two smallest opening weekends in the Marvel Cinematic Universe thus far are from the biggest and smallest heroes in their ranks at the moment. So yes, Ant-Man opened this weekend with $58m, which is the second lowest debut for the Marvel Cinematic Universe behind the $55m debut of The Incredible Hulk, a 2D film from 2008 whose debut would be around $70m adjusted for inflation and the 3D/IMAX/PLF bump. But before we panic too much, we should be aware that Ant-Man was the cheapest film in the MCU thus far, coming in at a comparatively puny $130m for production. And considering it’s already made $114m worldwide as of today, Ant-Man is a small(er) scale film that will likely be a small(er) scale success. Its 2.5x domestic weekend multiplier is right in the Marvel safe zone. As much as we might like to think that the Marvel offices are reenacting everyone’s’ favorite scene from Event Horizon, that’s not fair and not true. Ant-Man was the closest thing we’ve seen thus far to a Marvel B-movie. That’s not an insult, but it’s a cheaper, lighter, and smaller-scale caper that served as something of a Phase 2 epilogue after the epic season finale that was Avengers: Age of Ultron. Truth be told, the Paul Rudd/Michael Douglas/Evangeline Lilly heist adventure played closer to a Phase 1 Marvel movie than the somewhat supercharged Phase 2 entries. It was the first solo hero origin story/franchise-starter since Captain America: The First Avenger way back in July of 2011. That film opened with $65m and ended with $176m domestic and $373m worldwide on a $140m budget. I have to assume that we’ll see a similar result here, with stronger overseas potential factored in accordingly. The film played 42% 3D, 10.5% IMAX, and 9.5% PLF in America, The film earned $9.1m worldwide in IMAX. In terms of demos, it played 53% under-25 years old (“The kids, the kids!”) and 63% male. Marvel movies tend to make around 2.4x their opening weekend (Iron Man 2, Iron Man 3, Avengers 2, The Incredible Hulk, Thor: The Dark World) in America, over/under 2.7x their opening weekend (Thor, Captain America, Captain America 2), or 3x or above (Iron Man, The Avengers, Guardians of the Galaxy). I don’t think Ant-Man is a zeitgeist film and the deluge of PG-13 action fare over the next five weeks (Pixels, Mission: Impossible Rogue Nation, The Fantastic Four, The Man From U.N.C.L.E., Hitman: Agent 47) is going to be brutal in terms of demo competition. But the film works as intended, kids love it, and I don’t see it disappearing quietly into that good night. So yeah, I’m guessing a 2.7x multiplier with an estimated $156m cume here and hopes that it will play like The Wolverine and/or Thor overseas for an over/under $435m worldwide cume, or 3.3x its budget before post-theatrical. But that’s highly speculative (a standard 40/60 split gives it $390m worldwide) and we’ll know more next weekend. The success of The Avengers took Marvel to a different playing field, and the Phase 2 films have been remarkably successful especially when compared to Phase 1. Most of the them were sequels. Guardians of the Galaxy was something of a fluke, coming off of strong buzz, superb reviews, and the sense that the film was the great late-summer blockbuster that was going to save us from the otherwise lackluster summer. Even if Ant-Man was hoping to be the late-summer gem to save us all (think Warner Bros./Time Warner with Inception and the last two Dark Knight movies), this summer has had plenty of crowd-pleasing spectacles along the lines of Avengers: Age of Ultron, Mad Max: Fury Road, Pitch Perfect 2, San Andreas, Spy, Jurassic World, Inside Out, and Minions. Summer didn’t need to be rescued in mid-July this time around. Coming after a super kid-friendly Minions probably didn’t help either, as said film is going to do another $49m this weekend to boot. On one hand, the general moviegoers likely didn’t care about the behind-the-scenes gossip (“Edgar who?,” says your average moviegoer of the film’s infamous director switch last year). If they went, they went because of the Marvel brand, the quirky trailers, and the brand name value of star Paul Rudd. On the other hand, they probably didn’t care all that much about Ant-Man at least in comparison to the last handful of Marvel movies. And the reviews were “good, not great,” with a number of critics using ESP or travelling to an alternate dimension to view Edgar Wright’s Ant-Man so they could determine that it was clearly superior to Peyton Reed’s version. 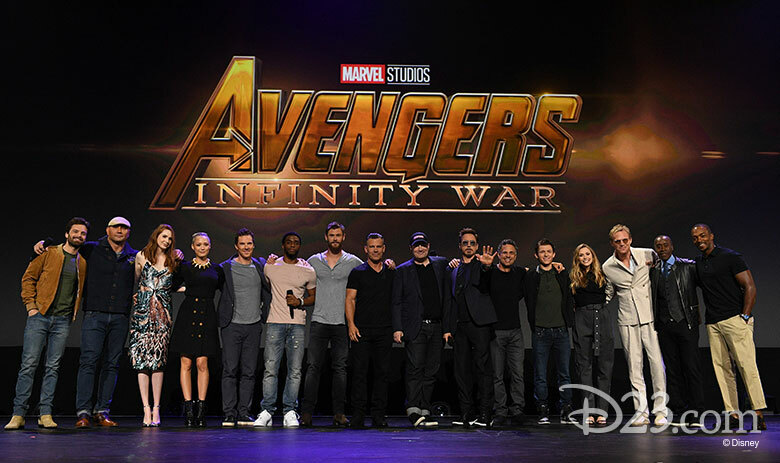 So yeah, this is the closest we’ve had to a Marvel movie not really being an event. When you have a track record like Marvel’s, “okay” should be allowed now and then when you’re offering what amounts to a comic intermission in between “mythology episodes.” If Age of Ultron and Civil War are the super important main features, then Ant-Man was the cartoon playing in between them on a double-bill (I have no such comparisons for the newsreel, unless you toss in an episode of Agent Carter). Ant-Man was something of a risk and to a certain extent Marvel came through okay. It might actually be a good thing over the long haul, as it will reset expectations for the likes of Dr. Strange, Captain Marvel, and Black Panther down the road. I’ll discuss this tomorrow if time allows, but the film’s mid-credits cookie will surely get everyone’s hopes up for an Ant-Man 2, since it sets up the potential upside of such a sequel as well as any superhero movie since Batman Begins. So with Avengers: Age of Ultron currently at $1.3935b worldwide, superhero fatigue hasn’t quite set in yet.